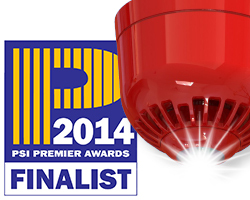 Klaxon's Sonos Pulse EN54-23 fire beacons have been nominated for a PSI Award - Fire Safety Product 2014. We believe that our Sonos Pulse fire beacons should be recognised as the leading fire safety product of 2014. If you share this view, please vote for Sonos Pulse today!